An innovative financing program opened the door for a Montgomery County business to make energy-efficient building improvements that will help increase its energy savings by about 30% per year. With the cost of renovations being what they are, sometimes it’s not that easy to be green. But thanks to the county’s Commercial Property Assessed Clean Energy (C-PACE) program, one business celebrated its new renovations with a “green” ribbon cutting as Montgomery County’s first C-PACE financed project. 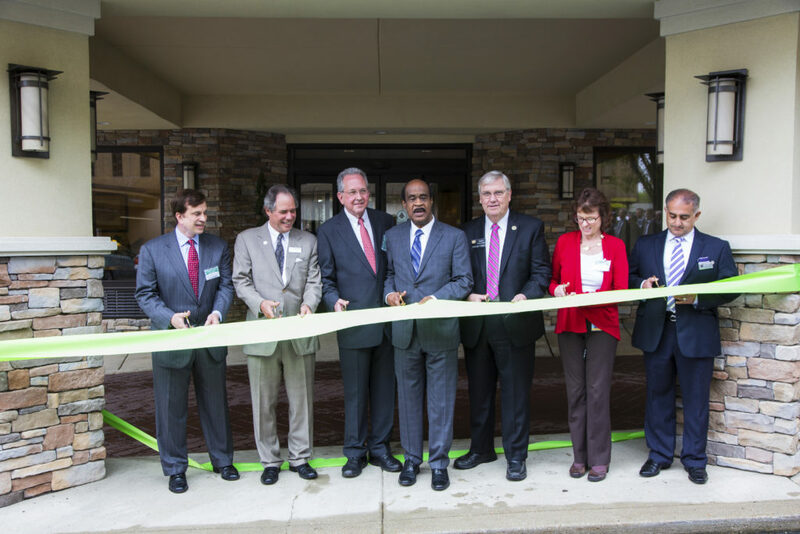 On April 20, 2017, Montgomery County Executive Ike Leggett, Montgomery County Council President Roger Berliner and others attended the ceremony at the Shady Grove Professional Building and the adjacent Comfort Inn in Gaithersburg owned by ProMark Real Estate, LLC. 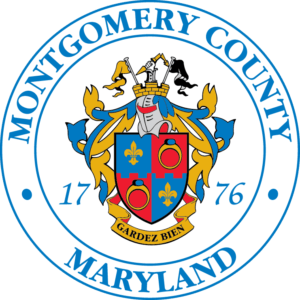 In addition to being the first Montgomery County C-PACE project, it is also the first C-PACE project in the state of Maryland. 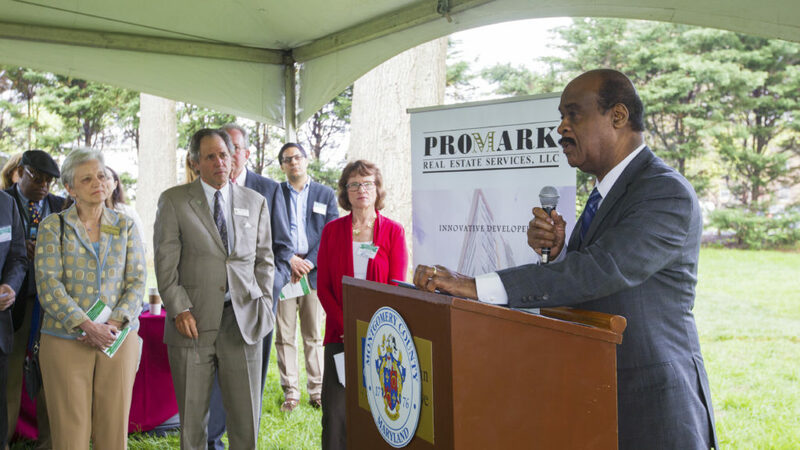 County Executive Ike Leggett presiding over the first completed commercial clean energy project in Maryland’s “green” ribbon-cutting. Pictured (L to R) Keith Derrington, Chief Operating Officer, Recurrent, LLC; Roger Berliner, President, Montgomery County Council; Robert Eisinger, Principal and Managing Member, ProMark Real Estate LLC; Isiah Leggett, Montgomery County Executive; Charles Barkley, Member, Maryland House of Delegates, District 39; Lisa Feldt, Director, Montgomery County Department of Environmental Protection; Vira Safai, Managing Partner, Comfort Inn Gaithersburg. C-PACE was established in the county in June 2015 as a way to provide financing to commercial property owners interested in making their buildings more energy efficient. Montgomery County Executive Isiah Leggett presenting a certificate to property owner Pro Mark Real Estate Service, LLC in recognition of the Shady Grove Professional Building and Comfort Inn property becoming the first C-PACE project in the county and the state of Maryland. The project renovations include lighting improvements and digital controls to make the 31-year-old Professional Building’s systems operate more efficiently. The project also included replacing the Comfort Inn’s temperature control devices and bathroom exhaust fans to more energy efficient ones. The fans now have sensors that automatically turn on once condensation is detected on the bathroom mirrors. The guest rooms also now have wireless thermostats with sensors on the units and the room doors that keep the temperature consistent when the room is occupied and shut off when it is empty. The Shady Grove Professional Building and Comfort Inn project was first announced in October 2016 and completed in March of this year. According to Keith Derrington, the Chief Operating Officer of the project’s energy contractor, Recurrent, LLC, the upgrades are expected to net about $156,000 in cost savings per year between the two buildings, which represent a whopping 30% energy savings. 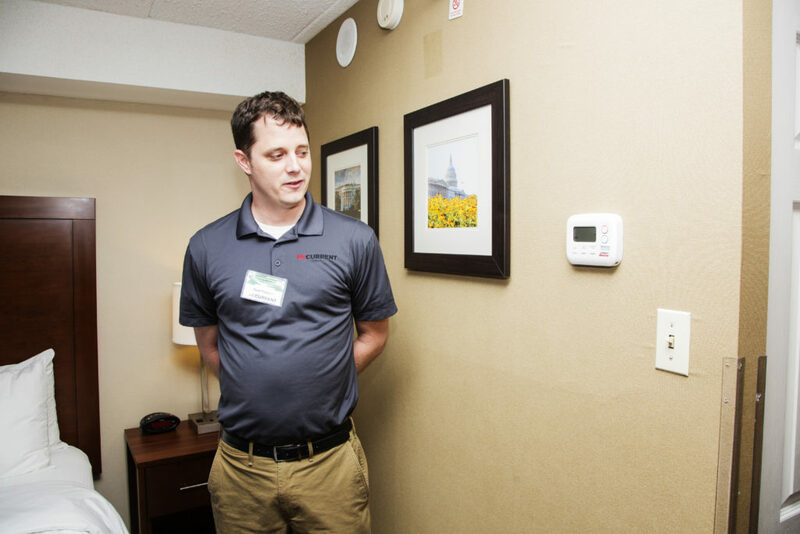 The new wireless thermostats at the Comfort Inn have sensors to help detect when there is someone in the room. Coupled with another sensor located just above the door, the unit can help keep the room at the guest’s desired temperature even when the occupants are asleep. The sensors help ensure that the new energy-efficient heating and cooling units will not completely shut off until someone opens door and leaves. The C-PACE program has the potential to help the county with initiatives including job creation, sustainability, and helping reach its 80% greenhouse gas reduction goal by 2050. C-PACE financing can cover up to 100% of project costs and is repaid as a long-term surcharge on the property tax bill, which allows Montgomery County building owners to make clean energy upgrades and energy-efficient improvements without upfront capital costs. For more information about the C-PACE for property owners, visit www.mc-pace.com. The creative team of Kimberly Hodges, Antoinette Charles-Aqui, and Felicia Hodges work together to cover a variety of environmental, community and public service events throughout the Capital region.